Curly Wavy Hair Favorites of 2016! 2016 is ending just as quickly as it began. Of course getting engaged was the absolute highlight of my year. As I continued to recover from early 2015's hair disaster, I rediscovered the bounce in my curls and continued to work on my hair's health. It has been well over a year (two in February) that I've colored my hair which simply blows me away! 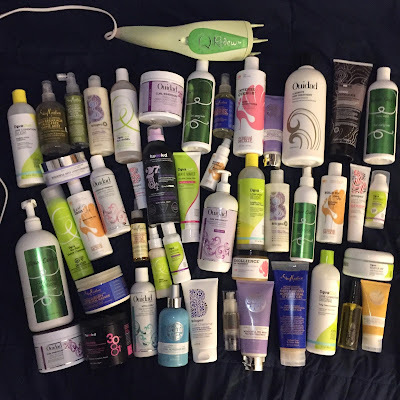 Of course I had some hair care favorites in 2016 and this blog is all about them! Continue reading for more. I've had the SheaMoisture Peace Rose Oil Complex collection for quite a while now. Every time I went to sit and review it, something else came up or got in the way. Well, my review is finally here so continue reading for my thoughts! One of the biggest challenges of having loose curls and wavy hair is that our fantastic definition on Day One Hair can turn into stringy looking noodles by Day Three. Still, as naturally curly girls, we certainly do not want to wash our hair daily, so we have to figure out another way to add that bounce back to our definition. CLICK HERE to read my article on the product I stumbled upon unexpectedly that I've been enjoying to revive days old hair! I hope everyone had a very Merry Christmas! Mine was nice. I missed out on seeing my family Christmas Eve because I stayed home to watch my recovering doggie, who is truly amazing me with how fast he is getting better! I did get to see some family on Christmas Day. I washed my hair Christmas Eve morning so I thought why not do a "Hair of the Day" post! Read on for more. Reviving Day 3 Hair with Q-Redew and Briogeo! I was debating whether or not to do this blog post since it isn't the best Day 3 hair ever, but it did turn out quite well looking at how I woke up, plus my Day 1 hair wasn't ideal- so I figured why not?. Read on for more. 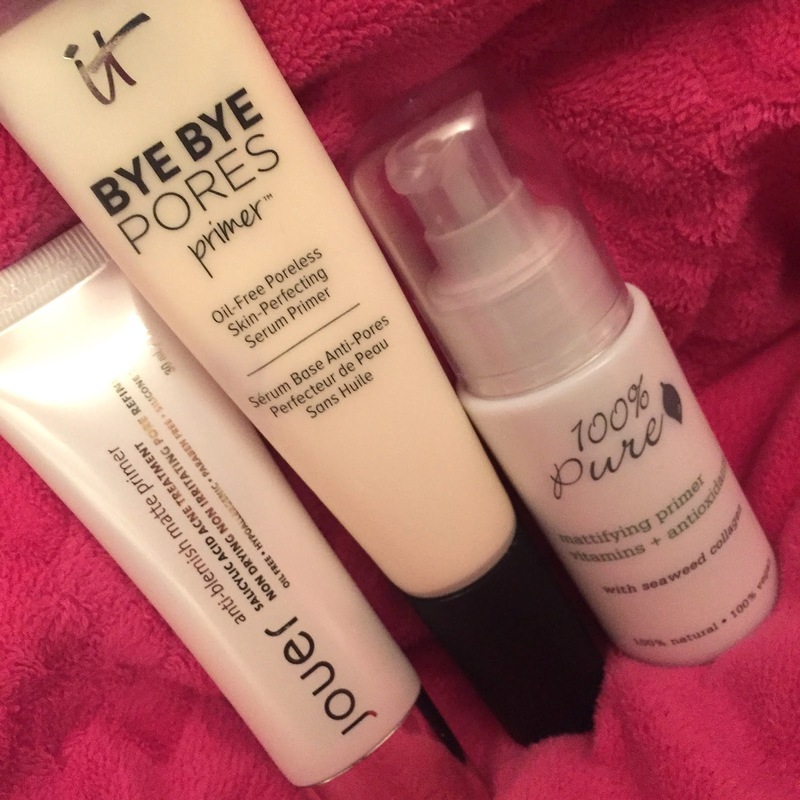 Primer is a necessity in any makeup routine. 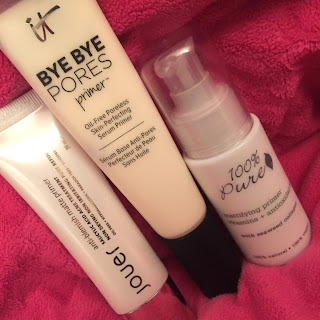 They lock in skincare, prep the skin so your complexion products last, and some of them, like all three I will be talking about today, even have skin care ingredients of their own inside! Read on for more. I washed my hair Saturday. Then Stretchy had a stroke Sunday and up until today's writing (Wednesday) I literally did nothing to my hair but throw it up in messy buns to get it off my face. The mix of being beyond upset about my dog and going to see and care for him was my priority. He's at home recovering now, but still not completely better. I was able, and felt okay enough to wash my hair again today and I've been blogging and getting work done on my laptop as he sleeps and recovers on his bed right near me. So here I am now. Continue reading for more. All Caps Hair Protector: The All In One Cap! Stretchy Dog Update: He's been resting up. Eating and drinking fine. He still can't stand up but keeps trying and his body keeps on swaying over to the side. Hopefully as the days go on he will be better and better. Hey friends! I just wanted to jump on here with a quick update on my lack of blogging the past few days. 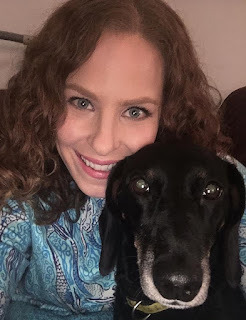 If you know me or follow me on social media, you know my dachshund, Stretch, is pretty much my whole world. Sunday morning he had to be rushed to the animal hospital. We thought it was a seizure, but the vet is pretty sure it was a stroke. They did a lot of testing on him and he had to stay there two days. Though he is home, he is not out of the woods yet because he can't walk or sit up and is still shaking. He may wind up needing to go for an MRI or to see a neurologist if he doesn't recover. I've been a mess over this the past few days as you may be able to imagine. I miss you guys and am sorry for my lack of blogs and promise to make it up to you and will be back hopefully in the next day or so since I can probably do some when he naps! Thank you all so much for understanding! If you want more details on Stretchy, I've been posting updates on instagram- @dianemary126. December is flying by! Yesterday was a wash day and I've been a good curly doing my deep treatments twice a month now with heat. Besides that, I also tried out the Bounce Curl Light Creme Gel that I've been hearing so much about for the first time! Read on for more about day 1 and 2 hair. Doll 10 Beauty has another lippie set on QVC now that would make a perfect gift for any makeup lover (including yourself) this Christmas! The 5-Piece Lip Chubby set is a great addition to your lipstick collection with such gorgeous, neutural pink colors. Read on for more. This season, our biggest concern becomes how to maintain moisture while the air is dry. With a few tweaks, the right products and good routine, your hair can survive the long, dark winter season as we count down the days ‘til spring. CLICK HERE to read my article on how to Winterize your Curly Wavy hair on NaturallyCurly.com! 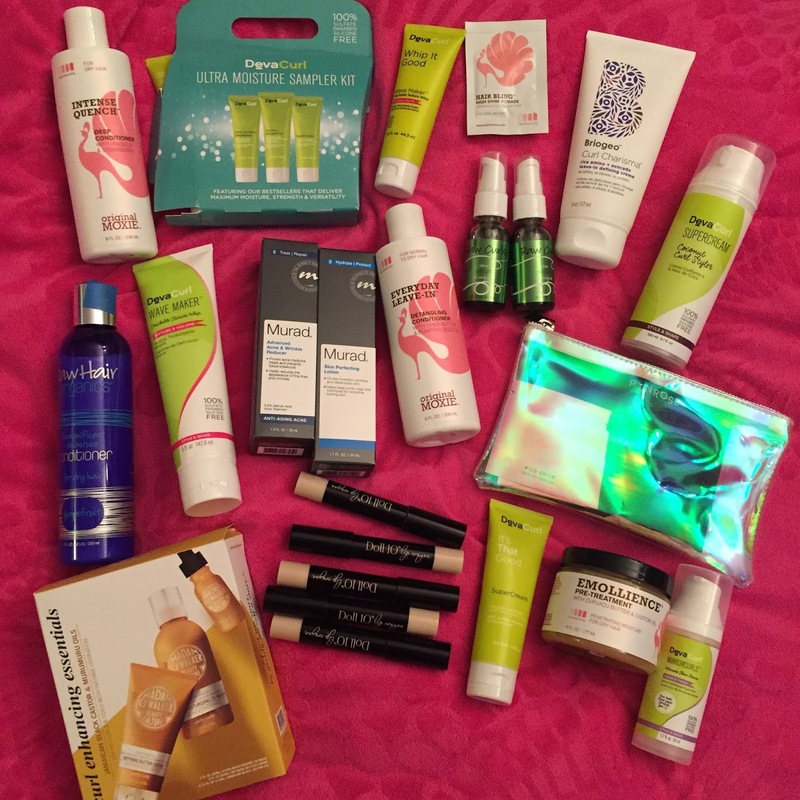 Of course I hauled a bit with Black Friday and Cyber Monday deals! I went relatively easy in comparison of years past though. Continue reading for the hair care, makeup and fragrance I bought! 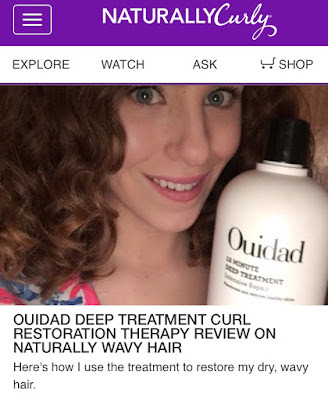 The Ouidad Curl Restoration Therapy Deep Treatment has been a Holy Grail of mine for nearly a decade now. 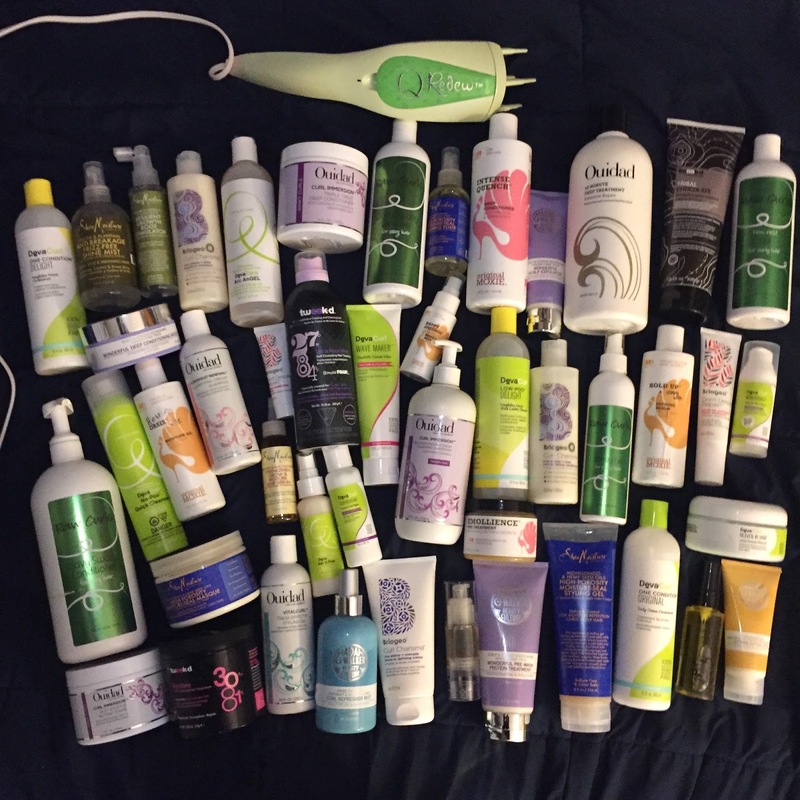 No matter what other products I try and test, I always go back to this. I have been using the deep treatment through several label and name changes, but thankfully the magical formula inside always remained the same. Unless your hair is extremely protein sensitive, I truly believe this is a product any curl type and texture can benefit from, so I want to tell you more about it! 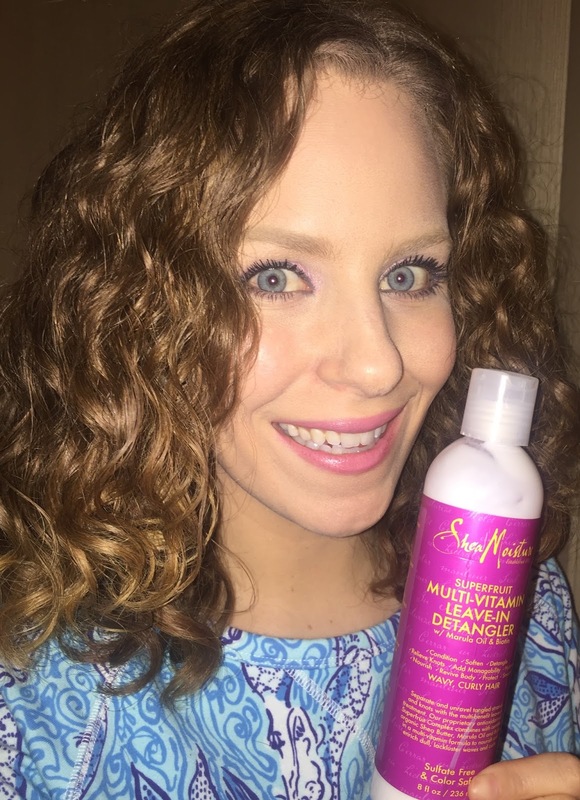 For the Key Product Benefits, Directions on and How Often I use it and more, CLICK HERE to read my article about it on NaturallyCurly.com! Pinrose Perfumes! My Review on ALL of them! Pinrose is a fragrance brand I have been eyeing up for a while now. I've seen them on QVC quite a bit. I knew I wanted to try their scents, but buying fragrance without smelling it first is kind of hard for me. When their site offered 30% off everything, I picked up one of the sample packs which was so cool because I was able to smell everything with no commitment, and it came with a code to redeem a full size bottle of my favorite. 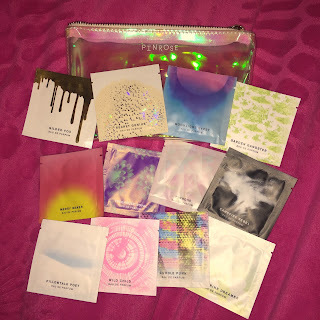 Read on for my thoughts about the Pinrose Fragrances! The Superfruit Multi-Vitamin Leave-In Detangler by SheaMoisture is a product that has been working quite well on my hair both wet out of shower AND on days 2 or 3! This is a product with a couple of uses, and even more benefits. Read on for more. 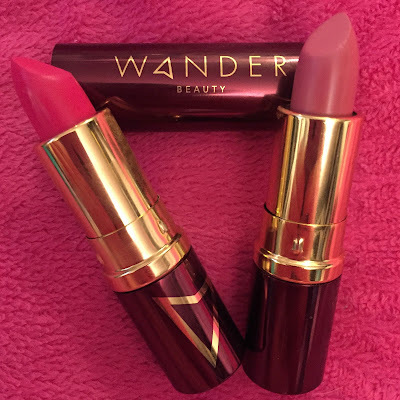 In November, you may recall the one piece of makeup I got with my VIB Rouge sale order was a double ended lippie by Wander Beauty! I've been using the lipsticks quite often and loving it, so of course now I have to tell you more! Read on. Today's hair of the day features 99% Briogeo products! 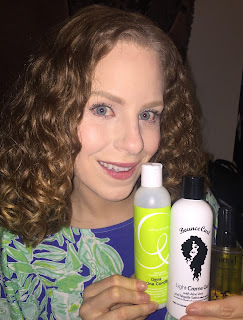 I've been such a fan of this cruelty-free brand for a few years now and have been wanting to try one of their newer products, the Curl Charisma Gel since it debuted a couple months ago. Read on for more! The All Caps Shower Cap is a product I recently came across on Instagram and as soon as I learned more about it, I knew I had to have it. One cap that protects my hair in the shower, sleeping and even when I do deep treatments? Yes! And it gets even better. Read on for more. On December 16, QVC will have a fantastic Laura Geller Beauty Today's Special Value! I was able to order it early from InsideQ Magazine and have been using it for a little while so I can provide my thoughts for you. Read on for more!